Doctor of Medicine, National University of Ireland, June 1984. B.S. Anatomy (With Honors) University College, Dublin, Ireland, Oct 1985 - Sept 1986. Fellow in Surgical Oncology, University of Miami School of Medicine, Miami, Florida, July 1996 - June 1998. -Unique exposure to Liver, Esophageal, Upper GI and Endocrine tumors. - Specialist Rotations in Pancreatico-biliary, Breast, Thoracic, Sarcoma and Head and Neck. PROFESSIONAL AFFILIATIONS: Dr. Boyle is actively involved with a variety of professional medical societies including the American College of surgeons, the Society of Surgical Oncology, and the Association of Academic Surgeons.He is an active member of the Fort Lauderdale Surgical Society. Dr. Boyle has conducted much research throughout his career and has been published in many peer reviewed journals. Dr. Boyle also believes in giving back to humanity and devotes free time on medical missions using his skills to help people in areas that are in desperate need. 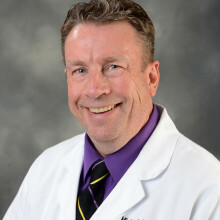 Irish-born, Dr Boyle is a caring, concerned surgeon with the patient’s best interests at heart. He is known for his straightforward approach, giving patients a full and balanced assessment of all of their options. Having joined South Florida Surgical Specialists in 2015, Dr. Boyle sees patients at his convenient office location, near Sample and Hwy 441. Dr. Boyle’s office staff is trained to support patients by providing personalized care in a compassionate and considerate manner. We know that surgical patients require special care and treatment to meet their personal needs as well as those of their family members. We accept most insurance plans. June 2016 – present: Clinical Professor of Surgery, Nova Southeastern University, FL. Oct 2000 – Dec 2004: Assistant professor of Surgery, Chief Section Surgical Oncology, LSU School of Medicine, New Orleans, LA. Sept 2006 – July 2009: Clinical Assistant Professor of Surgery, Tulane School of Medicine, New Orleans, LA. July 1998 – Oct 2000: Assistant Professor of Surgery, OU School of Medicine, Tulsa , OK.
Northwest Medical Center, Margate, Fl. North Broward Medical Center, Pompano, Fl. Honors B.Sc., Surgical Anatomy – Dublin 1986. Doris Faircloth Auerbach and Alfred S Ketcham award in Surgical Oncology – May 1998. Surgeon with over 15 years experience in practice. Medical Degree: National University of Ireland; University College Dublin (UCD). Surgery Residency: Indiana University School of Medicine, Indianapolis, 1996. Surgical Oncology Fellowship (SSO Acredited): University of Miami School of Medicine, 1998. Spent a number of years teaching residents and medical students, and has published numerous peer reviewed papers in the medical literature. Formerly the Chief of Surgical Oncology at LSU School of Medicine, New Orleans. Recently listed by the Consumers Research Council of America as one of America’s top surgeons.